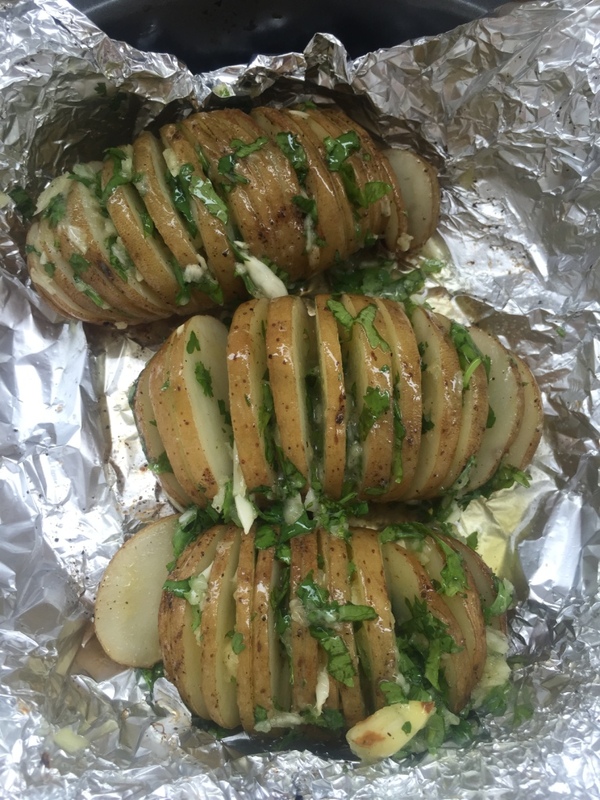 And then there is the baked potato. With some beans and cheese. And crisp buttered toast. Need I say more! 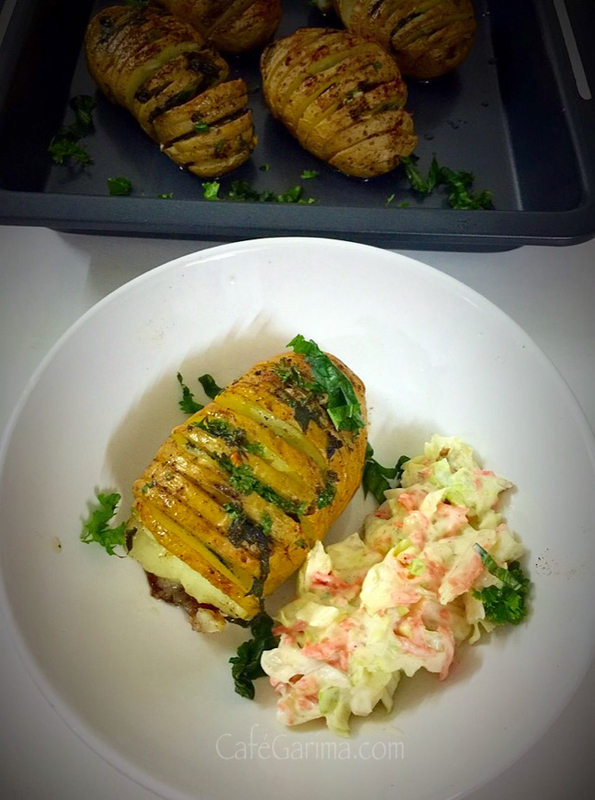 A play on the baked potato is this Hassleback version, which gets its name from the Swedish Restaurant Hasselbacken, where it was first served sometime in the 1950s. I wanted to make these since I first laid my eyes on them. The other day my greengrocer delivered some king sized tubers and Hasslebacks just had to be made! 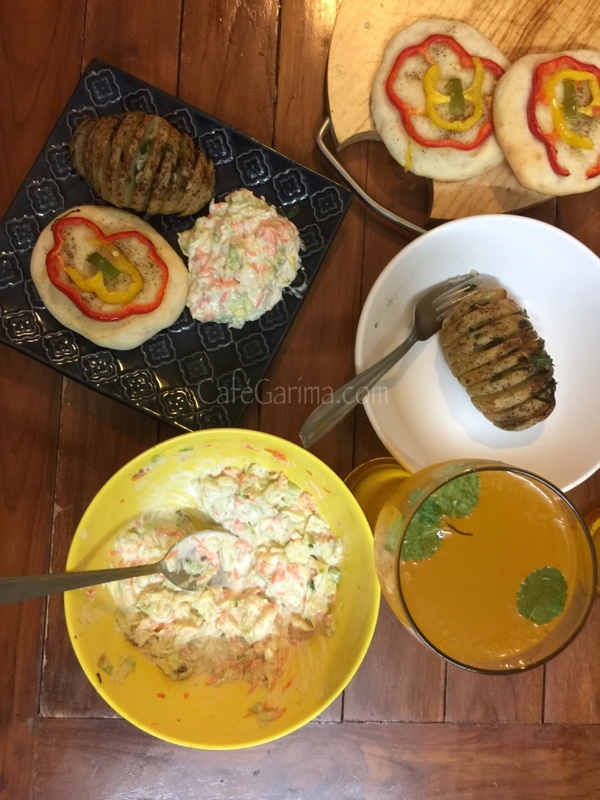 I served them with baby Focaccia and creamy coleslaw. And a tall glass of Minty Orange Spritzer. This is the stuff dream summery meals are made of. Some butter or olive oil. I used olive oil for the first drizzle and then butter and herbs for the halfway stuffing and brushing. 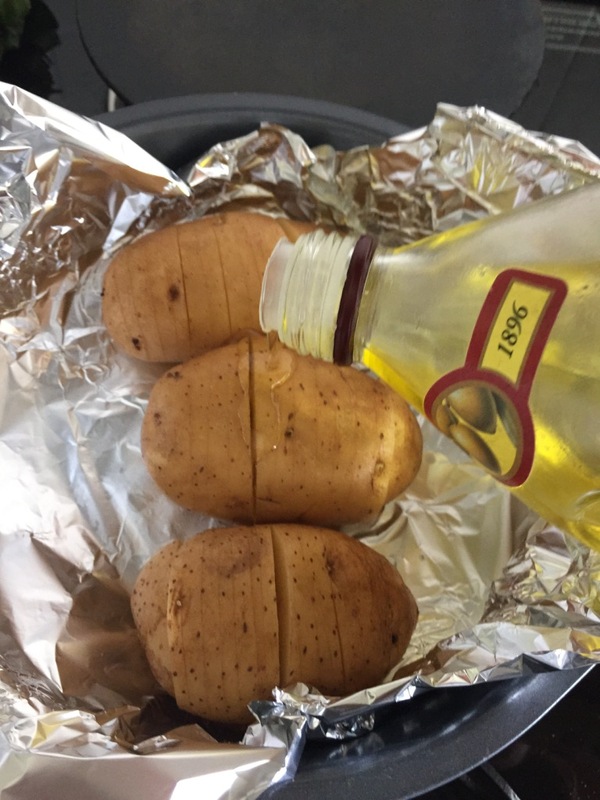 For 5 large potatoes, I used 3 Tbsp olive oil and about 4-5 tbsp butter. I added some fine chopped fresh parsley, basil and a tbsp of minced garlic to the butter and mixed well. If exotic fresh herbs are difficult to come by, fresh coriander works beautifully. This part is as-you-like-it kinds. Flavour them with just salt, butter and pepper and a sprinkle of cheese towards the end of the baking period. Or fill them with fresh herbs. And yeah that’s about it! 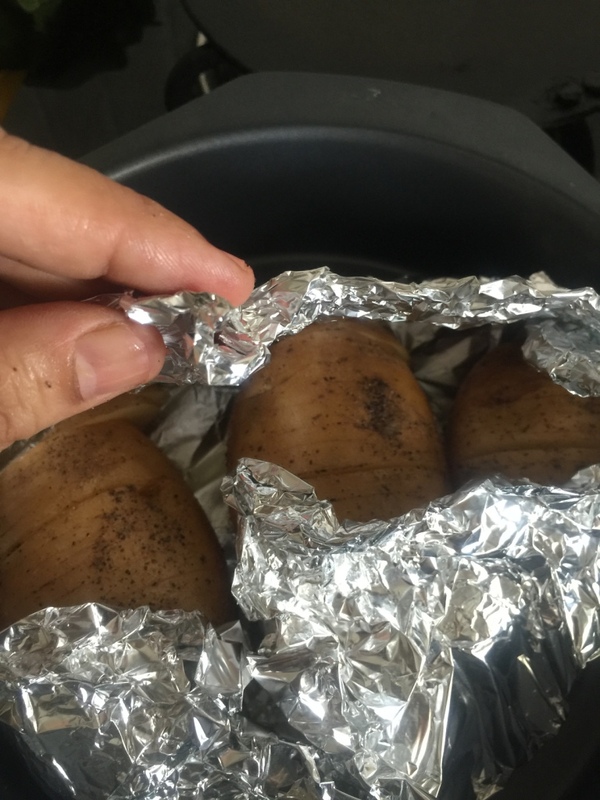 Start with washing and drying the potatoes. Preheat the oven at 250 C with the rack in the middle and both the heating elements on. 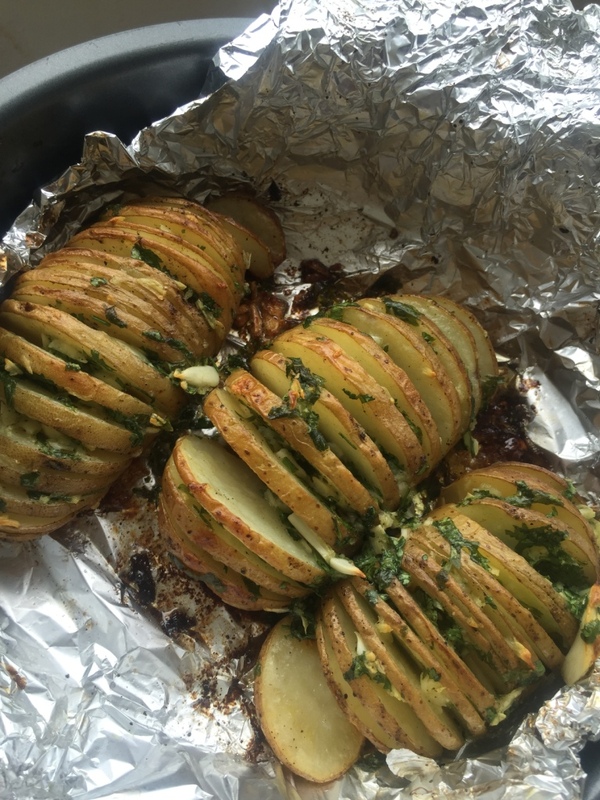 Cover the baking tray with aluminium foil and brush the potatoes all over with olive oil. 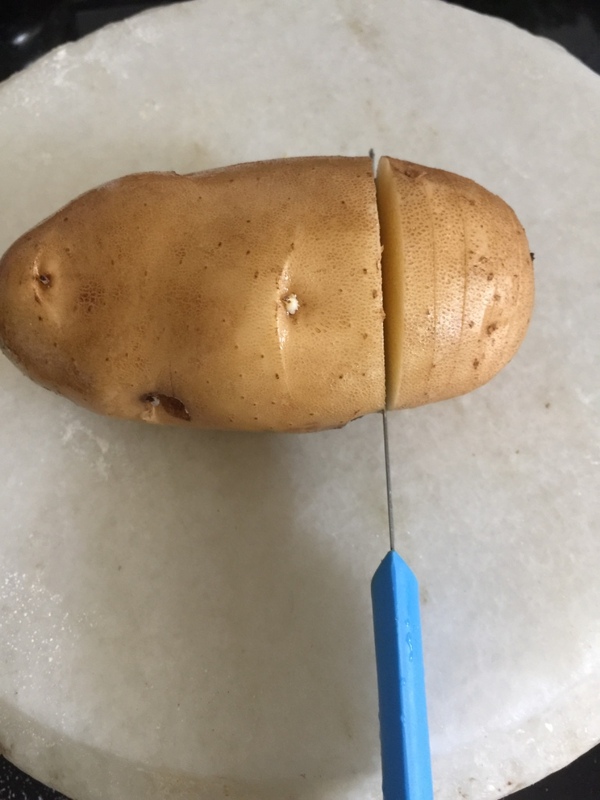 The slices won’t show yet but they will when the potatoes are half done. 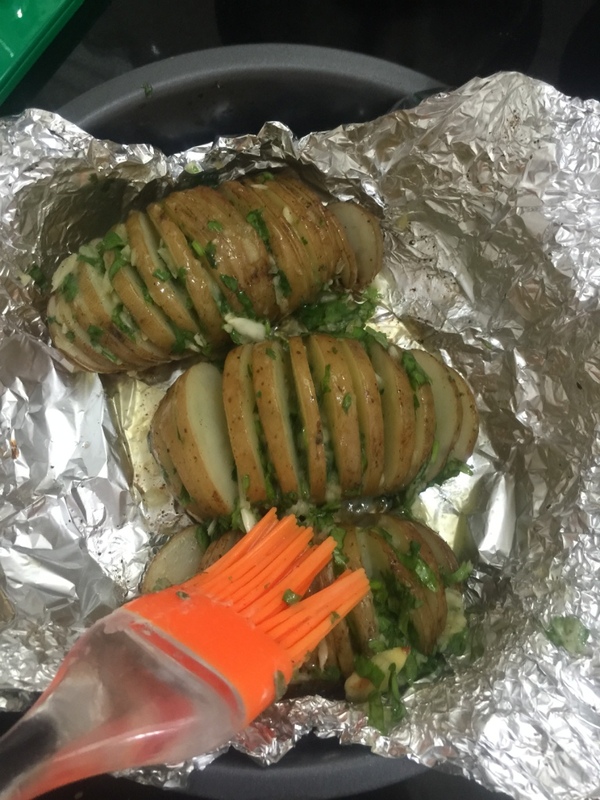 Drizzle some olive oil, sprinkle salt and pepper over the potatoes and cover them with foil, leaving some gaps for letting the steam escape. Bake for 30-40 minutes, checking in between for them being a little more than half done. 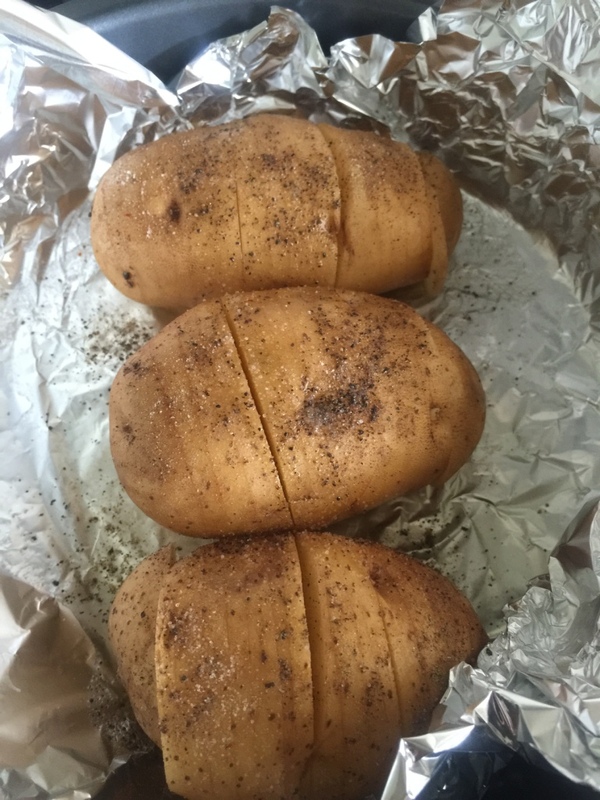 The baking time will vary depending on the size and type of potatoes. Now melt the butter and add minced garlic , finely chopped herbs, salt and pepper to it. Spread the butter mix over the potatoes making sure some butter does make its way into all the potato slices. 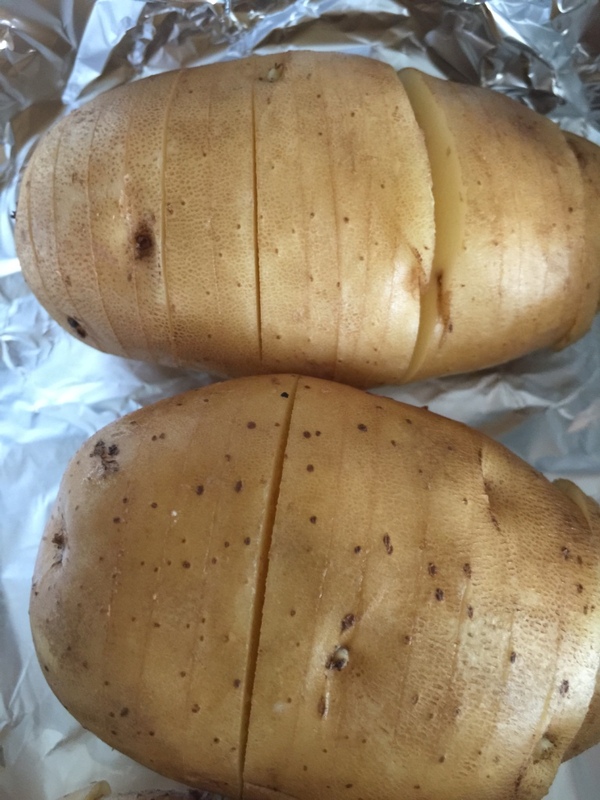 Brush the top with the butter mix and bake the potatoes for another 15-20 minutes till the tops are brown and crisp. 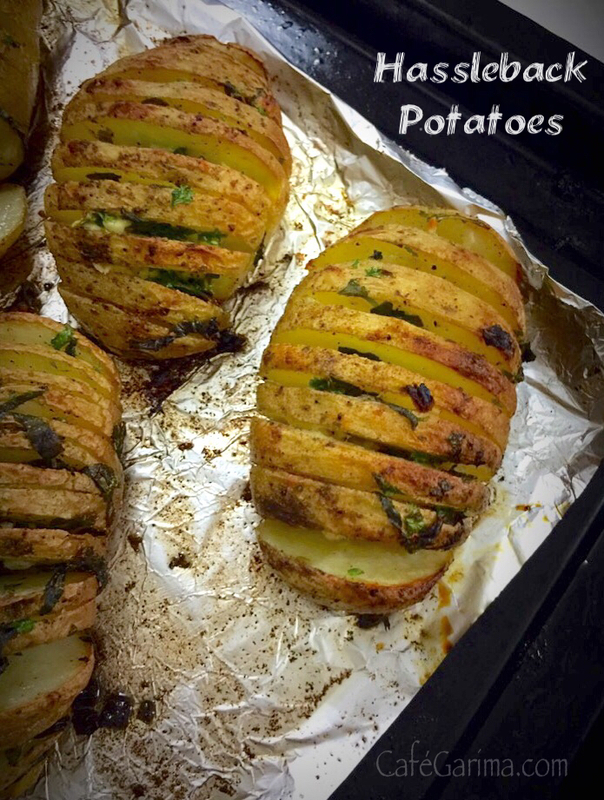 Garlicky and creamy on the inside and brown and crisp on the outside, this is a stunner of a potato! Use baby potatoes to serve as appetizers.